Matt Gormley is the first teaching faculty in the Machine Learning (ML) Department at Carnegie Mellon University. 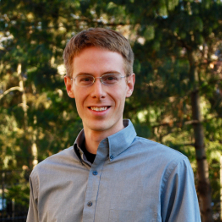 Matt's research focuses on machine learning for natural language processing. His interests include global optimization, learning under approximations, hybrids of graphical models and neural networks, and applications where supervised resources are scarce. In 2006, Matt earned a Bachelor's degree in Computer Science from Carnegie Mellon University; his research was advised by Scott Fahlman. He then spent two years as a software engineer at Endeca Technologies in Cambridge, MA. In 2015, he obtained a Ph.D. in Computer Science at Johns Hopkins University (JHU), where he was co-advised by Jason Eisner and Mark Dredze. In the Fall of 2015, he was a postdoctoral researcher at the Human Language Technology Center of Excellence at JHU. Matt also holds a Certificate in Spanish Culinary Arts (2007) from El Centro Superior de Hosteleria y Turismo de Valencia.